A man arrested on marijuana charges alongside since-cut Baltimore Ravens running back Alex Collins had previously been in a similar situation with one of Collins' teammates. 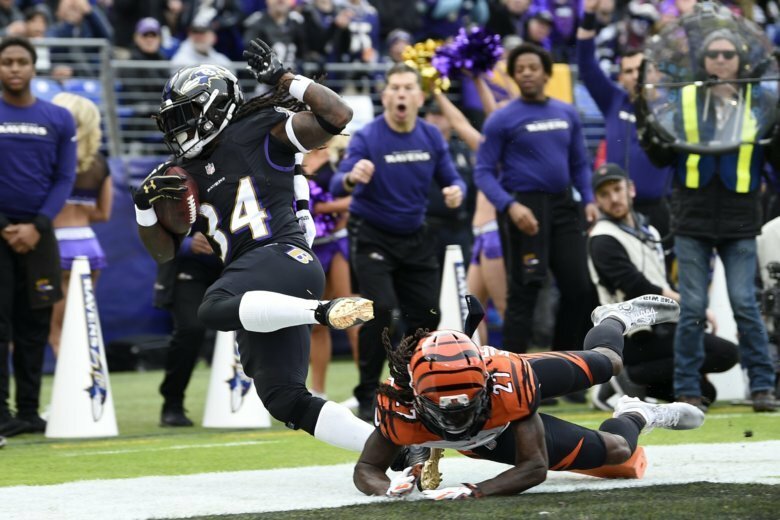 BALTIMORE (AP) — A man arrested on marijuana charges alongside since-cut Baltimore Ravens running back Alex Collins had previously been in a similar situation with one of Collins’ teammates. The Baltimore Sun reports Tykheem Jaquon Deundrea Dunaway was with Tim Williams when University of Alabama police found a pistol and marijuana in Williams’ car in 2016. Williams was then an Alabama linebacker, but later joined the Ravens. University police charged Dunaway with second-degree marijuana possession. Williams was charged with carrying a pistol without a permit. That case’s outcome is unclear. Baltimore County police say Dunaway was in a car with Collins during a crash Friday. Collins was charged with possession of a handgun. His attorney says it was unloaded. Collins and Dunaway disputed who owned the marijuana. Dunaway couldn’t be reached for comment.